The Swartland is traditionally very well known for its wheat farming but canola is also being planted amongst the wheat of which the wonderfull bright yellow canola fields can be seen in blooming season. Sheep and cattle farming together with wheat is also one of the big farming practices in the area. Several years however wine grape vineyards and olive groves have been planted amongst the wheatfields and has become a vibrant and rapidly growing agricultural industry for the Swartland region which yearly producess top quality wines and olive produce. Fruit farming is also very strong and doing well in the Swartland. 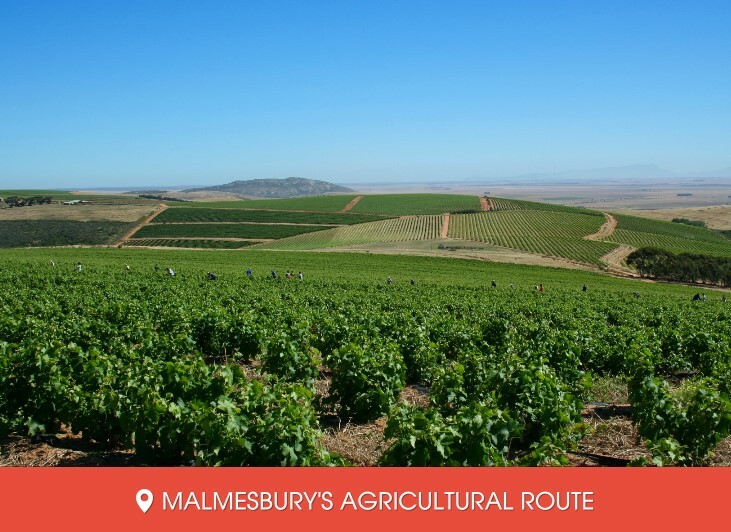 Malmesbury's Middle Swartland Agri-Route is unique in the sense of its highly diversified agriculture activities. Another interesting Agri-tourism destination is Lowensvlei, where visitors can learn about various aspects of commercial fresh flower farming. 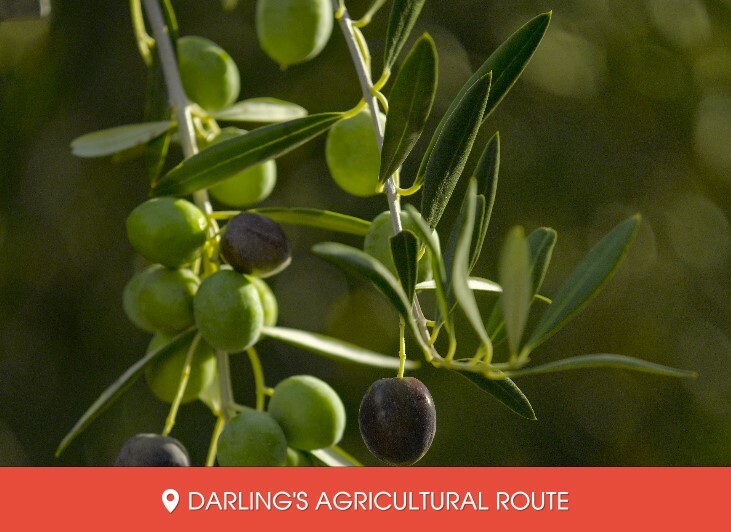 Darling Olives is a great place to start your education about how olives are grown, pressed and cured or experience a traditional approach to olives on a working farm and at Het Bos Olives. Experience a traditional approach to olives! 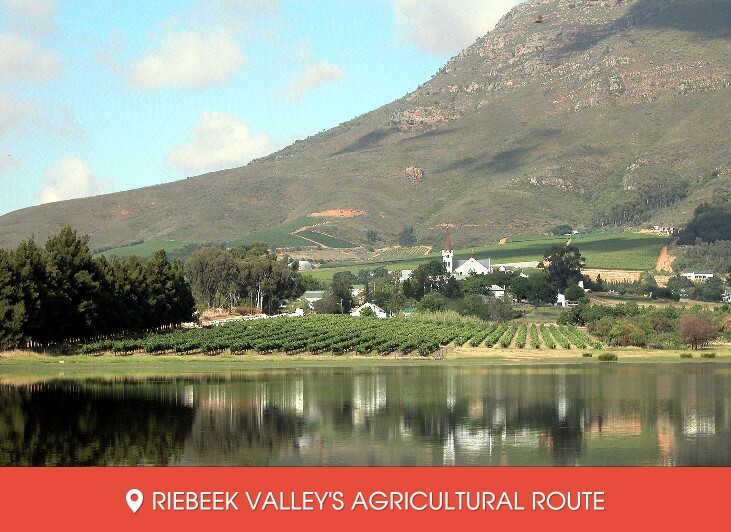 The Mediterranean climate experienced in the Riebeek Valley, with a typical winter rainfall, is also ideal for olive growth. Includes Het Vlock Casteel, Kloovenburg and Goedgedacht. The town with the friendly people and well known wheatfields. 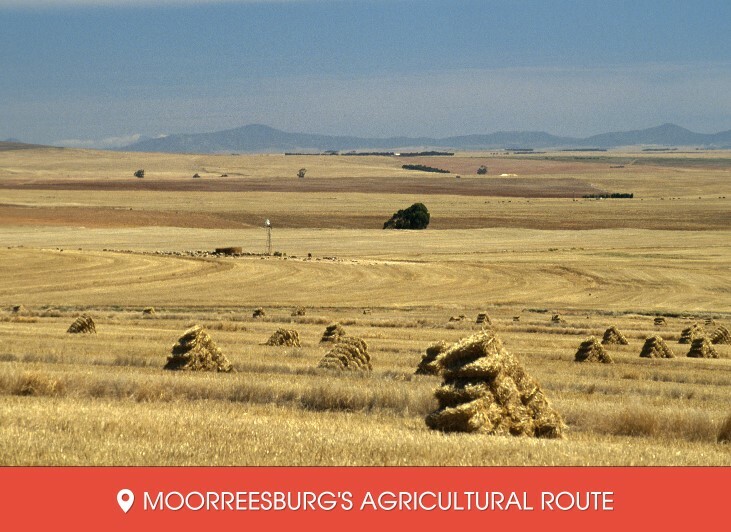 The Agricultural routes include The Wheat industry museum; One of only three of its kind in the world and the MKB, Moorreesburgse Koringboere (Edms) Beperk.